Today, there is an ongoing discussion about the EPF Sri Lanka, focusing on many related aspects. The main concern was the alleged swindling of its funds in association with the CBSL Treasury Bond Scam. Currently, the working class organisations are debating about the advantages of a proposal by the Government to appoint fund managers to man its investment portfolio. In this context, it is relevant and important to pay attention to the issues in a ‘watch out’ sense, mindful of the p’s and q’s. My last article aimed to create a sense of awareness of the possibility of utilising the Provident Fund system as the bedrock of a social security system integrated with a social insurance scheme that targets issues such as education, subsidised housing and medical care for the broad masses with a high focus on housing development. However, the safe existence of the Provident Fund and ensuring its primary objective of providing retirement benefits to the employed population, who happen to be the stakeholders, as contributors to this fund should take preference and prominence in any order of priority to improve the efficiency of the system. There is no doubt that the benefits accrued by the members have to be maximised in order to make the final withdrawal amount sufficient to support their retirement life period. The Provident Fund is a defined contributory system where the administrators are required to maintain a one-to-one relationship with the members, ensuring good governance while keeping accounting records of the members’ contribution and withdrawals. The incomes from the investment of funds accrue to the members in proportion to their contributions. Due to a growing large number of contributors, as well as the varying active and dormant memberships, the administration of the fund has to be modified to provide for an individualised identification system coupled with the maintenance of an ID-based accounting system. Many amendments effected subsequently from time to time, increasing and broadening the scope of coverage, etc., have increased the complexity of the operations of the fund. The speedy release of balances at the time of withdrawals is a service that has to be provided by the administrators without any undue delays and complications arising out of documentation problems. The implementation of the Act regarding the coverage of employers, registration of workers, penalisation of errant employers who do not contribute as well as those who do not remit the deducted contributions of the employees, imposing penalties and instituting legal action, etc., fall within the responsibility of the labour department while the monetary administration is entrusted with the Monetary Board. During the early days of the enactment in 1958, the legislators had a clear foresight with regard to the possibilities and conflicts of mismanagement of the Fund. 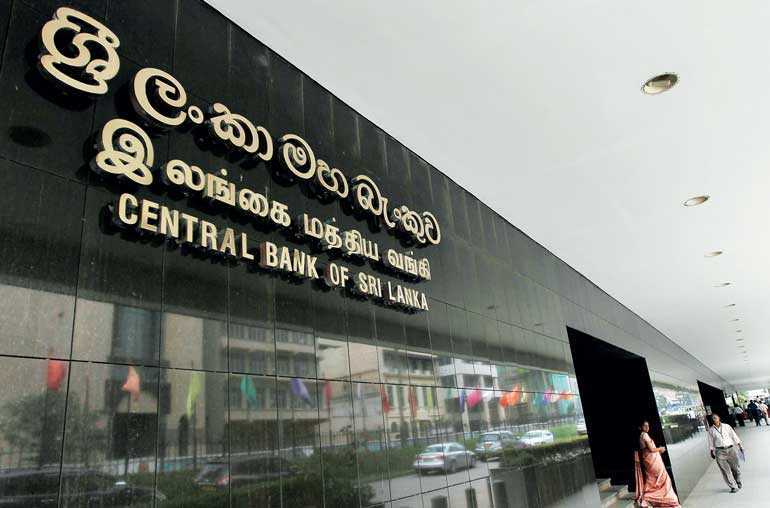 They thought that the Central Bank established under the Monetary Law Act, which was in force at the time, being charged with the duty of securing economic and price stability, and financial system stability with a view to encouraging and promoting the development of the productive resources of Sri Lanka, would be a safe haven for a huge fund of this nature. They expected the safety of the funds to be in the hands of an organ of the Government which would be responsible and accountable to the Public. Mismanagement of public funds, which have led to scandals and mistrust of the governments in force, has occurred in many places. It has happened here, too, both before the country started looking for good governance as well as after the establishment of so-called good governance. But, any step conjectured to be in the wrong direction according to speculations arising out of bad experiences cannot be ignored in taking crucial decisions, especially at times when people are highly suspicious about the ongoing happenings. Unfortunately, our own experiences in the most recent past and during previous regimes are shockingly disturbing for us to convincingly consent to any indiscriminate and hastily determined policies. We saw attempts and signalling of policy announcements about the need for the creation of a wealth fund amalgamating the large captive funds of the Government by people such as the former Governor of the CBSL who is now a fugitive. The source of such policy announcements itself is sufficient for the stakeholders of the EPF to be scared and cautious because we have seen what they have done to the PF while it remained in their hands. There were manoeuvres to shift staff in key decision-making places in the EPF to perpetrate fraudulent transactions. They have now come to light and were established with evidence before a Commission of inquiry. Instead of the EPF being in the hands of a safe haven, we see that it had fallen into the devil’s hands. The people who were supposed to be the custodians of the Fund, specially handpicked to be appointed to such places, have wreaked havoc. There are many other instances where the EPF and other captive funds were misused for covering up large-scale frauds. The pivotal and fundamental factor has been the availability of the monies of these funds and the control of these funds coming under a group of unscrupulous swindlers. Therefore, let the working class of this country, the guardian angels of the employee contributors to the EPF, take a closer look and evaluate the ramifications in the proposal now brought up by some sections of the Government to hand over the management of the EPF to external fund managers and the creation of a wealth fund similar to the Temasek model in Singapore. Much can be stated about the Temasek as well as many other wealth and sovereign funds and the fate of their management under fund-managing specialists. There are serious concerns about administrative expenses and the management costs, which ironically remain undisclosed similar to the salaries and perks of some contracted executives and specialists appointed to certain SOEs in this country. Some of the model funds cited as examples are being managed as PONZI schemes. Therefore, let us be cautious. Put the house in order first. There are many developments that have to be effected in the EPF, including the relationship between the administration and the management (Labour department and the CBSL). The taxation of the EPF funds at one point, the taxation of the beneficiaries at another point, and the taxation of the employee at the PAYE level, and finally, subjecting the savings element to further tax are matters that need to be addressed immediately before thinking of external fund managers. There is no attention focused on these matters. The EPF of Sri Lanka should be managed effectively. A Trust comprising of member representatives and statutory officials appointed by the Government who are professionally qualified to handle such a portfolio would certainly be a more accountable and responsible body to handle the investments and generate good returns safely to enhance the benefits from the fund. There are many good governance examples of EPF, and some pitfalls and failures of fund management experienced elsewhere, which I wish to bring as examples in detail in a future article.